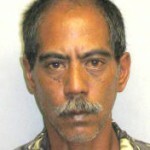 Big Island police are searching for a 50-year-old Hilo man who was reported missing. 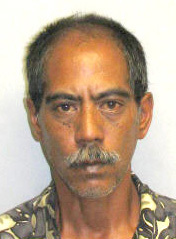 Ronald Kahapea of Hilo was last seen at 1:15 a.m. Tuesday (November 8) on Banyan Drive. He is described as 5-foot-7, 141 pounds with black short-length hair, brown eyes and a mustache. He was last seen wearing blue jeans, an unknown color t-shirt, a black North Face jacket and white New Balance shoes.